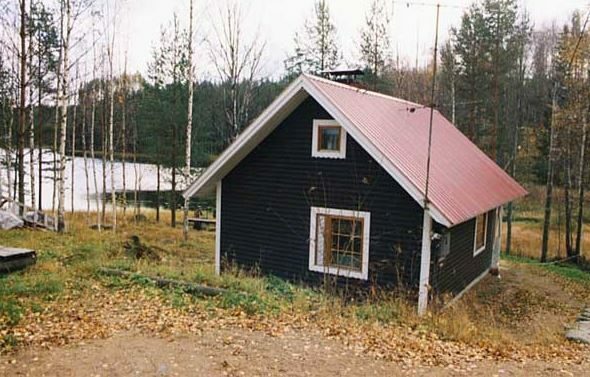 L159 Parikkala, small lake (pond), 2-4 pers. In Parikkala at a small lake (pond) . To the shore 10 meters, shallow, muddy/sandy lake bottom. 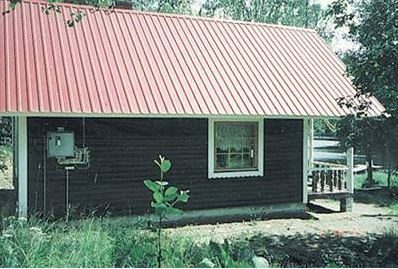 Log cabin biolt 1993. 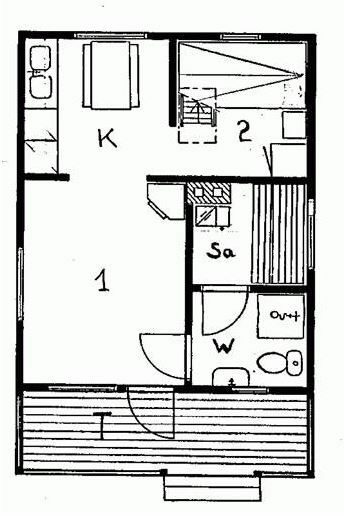 Living area, kitchenette, bedroom. Wc,shower. Loft/gallery for 2 persons. Electric stove, microwave oven, refrigerator. TV. Running water (C+H), drain. Electric heating/-light. Access by road, nearest neighbour 300 m. Shop and restaurant 14 km. Country road nearby, at the shore of small lake.